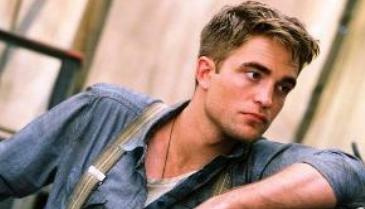 Smoldering Twi-star Robert Pattinson has made no secret of his wish to have a music career. In fact he even got himself a slot on the Twilight soundtrack. Now Rob has opened up on his singing abilities, revealing he thinks his ‘depressing’ tracks will only become popular when he’s dead. Despite wanting a music career, Rob has admitted he doesn’t think many people will like his intense songs, and doesn’t see himself ever having widespread singing success. ‘I am sure I’ll be one of those artists that people don’t pay any attention to while I’m alive, and when I am dead people will go yeah, man, that was a work of art,’ he said in a recent interview. But despite not wanting his music to become mainstream,Rob admitted he likes Simon Cowell, and watches some of his shows. ‘I love Simon, I think he is a great personality and I think his shows are entertaining,’ he said. ‘He is a clever guy and he created artists that he knows the public will like, that’s why I don’t think he could ever launch my music career. Earlier this year the star revealed he had put his musical career on hold for the time being, as him fame makes it difficult for him to write songs. ‘I used to write a lot more music by just doing gigs, just turning up to open mics and stuff with two lines of the song and then the pressure would force me to make something up on the spot,’ he said.